The truth is that once you have identified what message you want to get across to web users and customers, as well as how you want to get the message across, you’re halfway there. These are things that you should already have at least an idea of, if only in your head at the moment. Here is social media explained in a fairly simplistic, visual form. Of course, these are slightly generalised descriptions of each social media outlet. For example, Instagram isn’t just used for posting vintage pictures. Nor is LinkedIn’s sole advantage that it allows you to list your professional skills. Social media isn’t all black and white. The key is to find a scenario which enables the benefits of a particular social media platform to promote and advertise your business in the best possible way. Imagine that you own a BMX company. Considering that you are now able to create a Shop section on your business’s Facebook Page, you will probably want to advertise your products for sale of this platform. When you consider that more than half a billion people access Facebook from mobile devices, it’s a no-brainer. Yet, what if you want to write in-depth blog posts targeted at loyal customers like BMX bods, industry experts and the like? Facebook doesn’t appear to be the best platform for this. It is quite easy to embed a blog post into LinkedIn, and this platform’s users like to share things they find interesting on their own profile. Similarly, there may be occasions when you want to show off a photo of one of your products in action. Nothing beats an image of a BMX in full flight, hanging in the air after its rider has pulled off a gravity-defying stunt, complete with a glorious sunset in the background. It is also important to note that industry research plays a big part in deciding which social platform to use and how to spend your marketing budget. If your target audience spend a lot more time on Instagram than they do on Twitter, it may be worth looking into getting the help of a professional photographer, or honing your own skills with camera. This in turn raises another point – always stick to your strengths when it comes to choosing a social media platform for your business. If you have previously had success in terms of page views and engagement by advertising your business over Twitter, don’t all of a sudden think that you may be missing out on endless leads and opportunities by neglecting Pinterest. 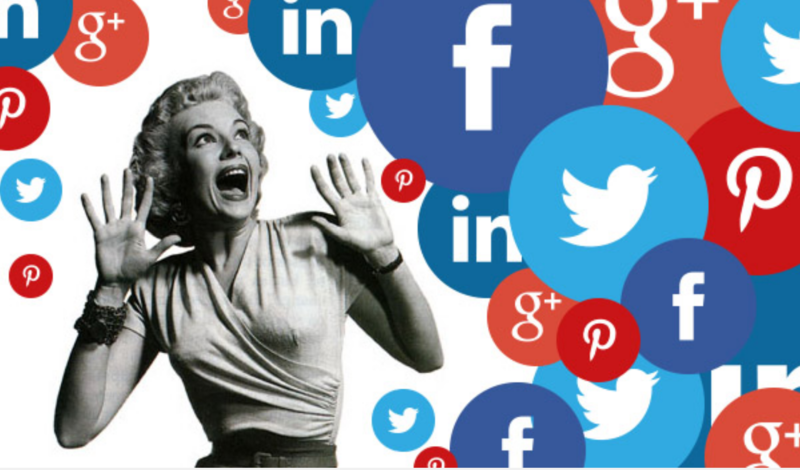 Managing multiple social media accounts for a business requires a lot of effort. A scenario you want to avoid is one where you are running accounts on so many different platforms to the extent that you sacrifice quality for quantity.